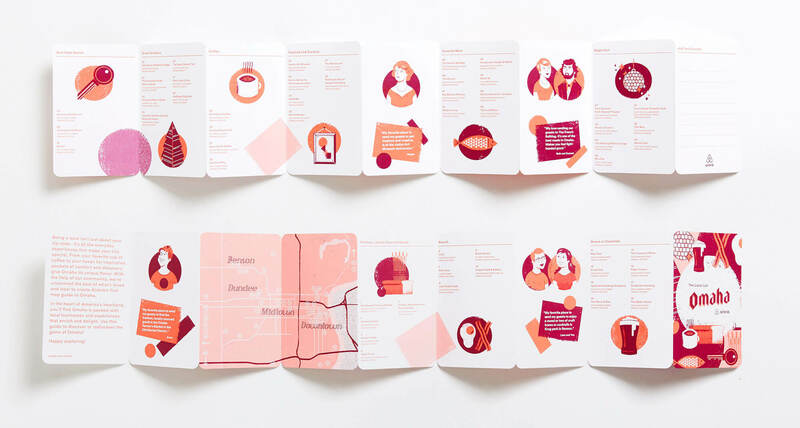 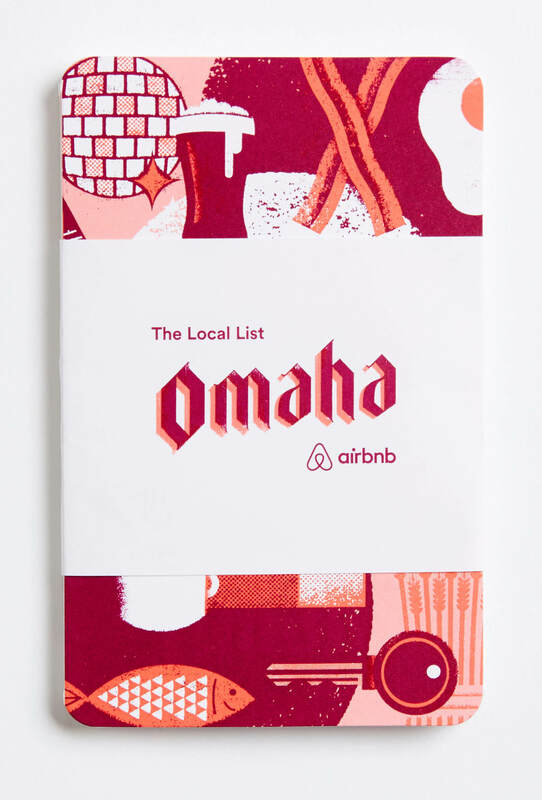 The Airbnb team recently tapped me to help them create the Omaha edition of The Local List, an illustrated map curating all of a city’s best eateries, drinkeries and attractions. 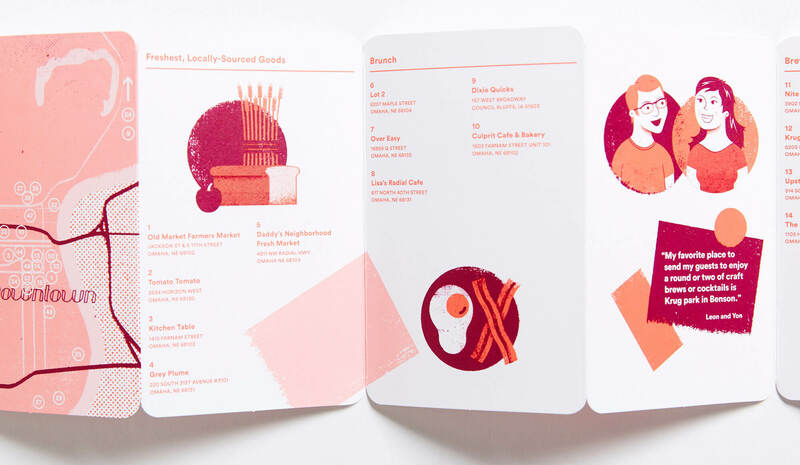 One of the many things I made for them was an icon set for the different categories of attractions, such as Best Bars, Night Life, Best Coffee, Best-Kept-Secret, Best Brunch, Best Restaurants, Inspired and Creative, and Freshest Locally Sourced. 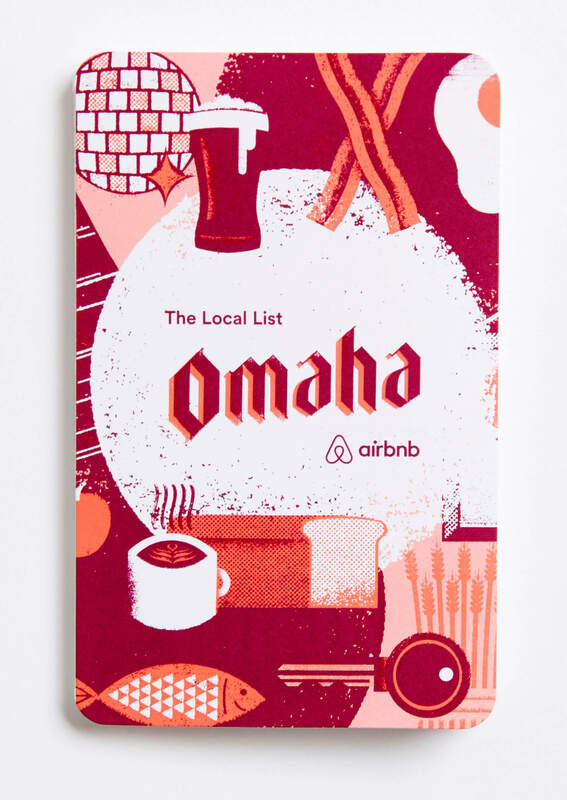 In addition to the category icon set, they also had me create a set of portraits of notable Omaha hosts. 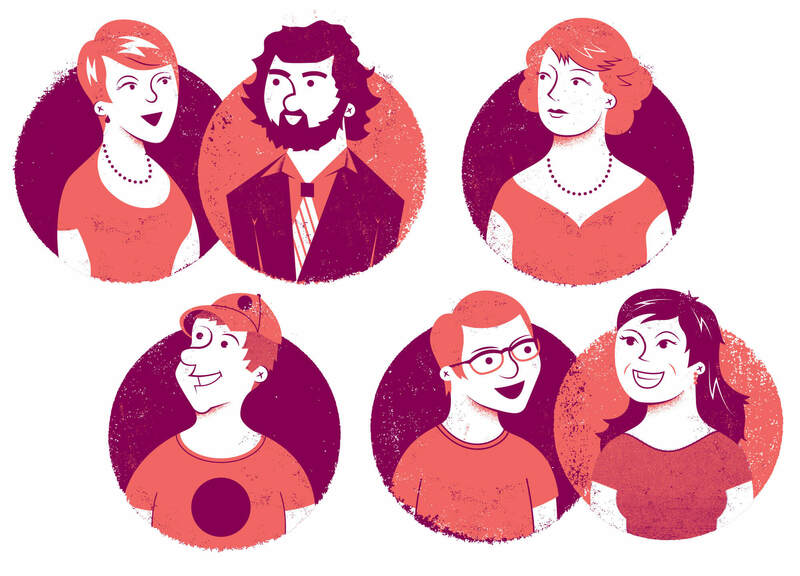 Using the same textures, shapes, and color palette, I created stylized portraits that fit in the same aesthetic as my icon set. 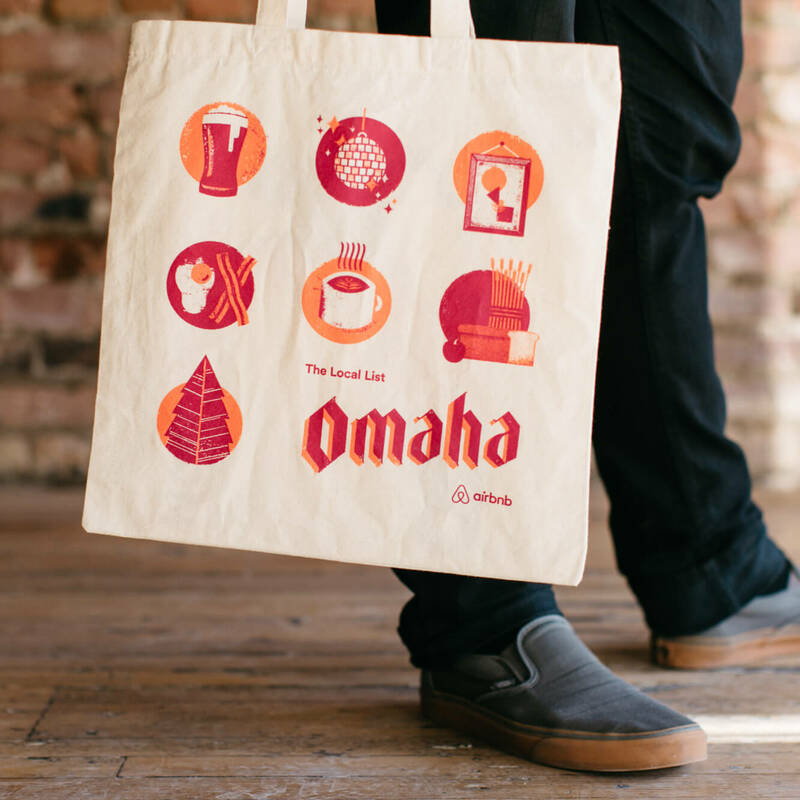 In addition to the illustrations, I also created a custom Omaha logotype. 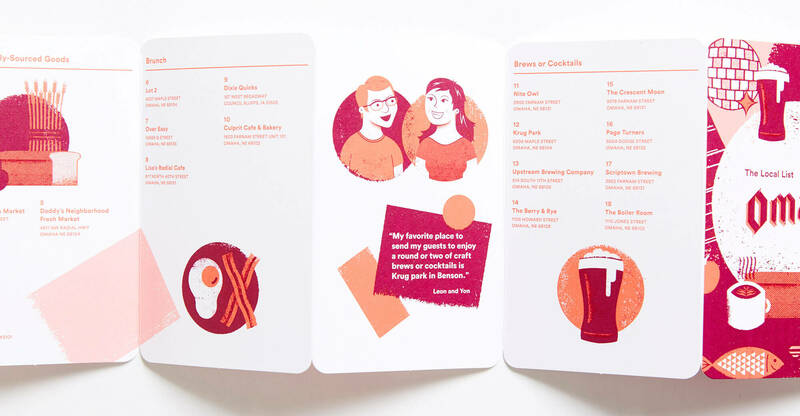 They wanted something inspired by the painted brick typography that covers many of the buildings in the historic downtown area, which I was more than happy to oblige.